The instructions featured in this article explain how to add an IP camera to the NUUO NVR Solo. 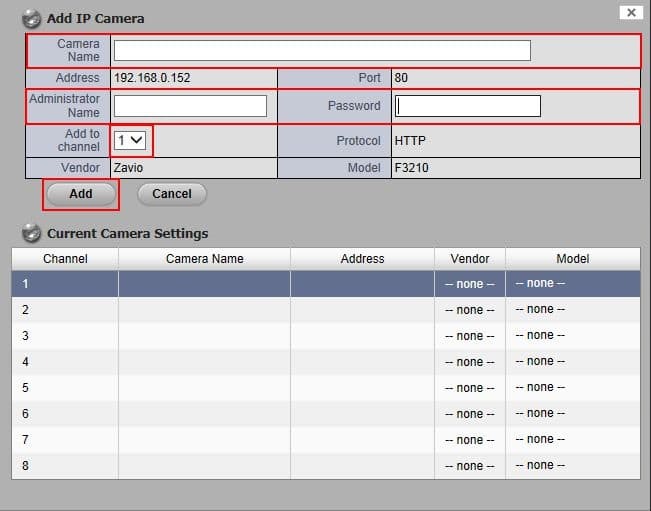 There are two ways of adding a camera, one is to manually enter in the camera's IP address, port number, username, password, manufacturer and model. 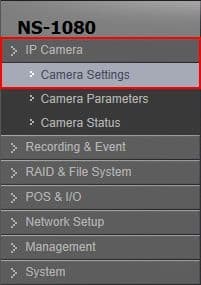 The other way is to use the camera search feature, which automatically searches the NVR's network for compatible cameras. If the searcher finds any compatible cameras, it will then prompt you to enter the username and password of the camera to finalize the addition. The examples in this article were done using an NS-1080 NUUO Solo Network Video Recorder and a Zavio F3210 IP Camera. Please follow the instructions below to add a camera to the Nuuo Solo Network Video Recorder. Provided is both the Manual setup and the Automatic setup.